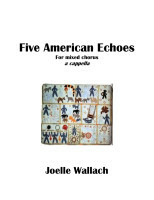 Joelle Wallach’s Five American Echoes, an a cappella work for mixed voices, was composed in the autumn of 1983. Excerpts from the work of five long-dead, historical American poets present five quite different and distinctive approaches to mortality and immortality. The first poem, by Emerson, is a paean to the music and beauty inherent in all things; the second, by Longfellow, laments the death of all that is dear. It is a dirge drifting toward silence. 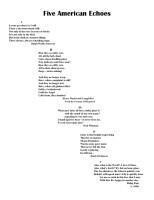 Whitman’s third movement focuses on the artist’s narcissism, a self-aggrandizing attempt at immortality. 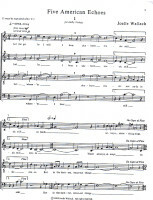 The fourth movement, by Emily Dickinson, counters with the transience of glory. And the final poem, by the 17th century Colonial poet, Phillip Pain, responds by admitting the transitory nature of the world, yet holding forth the hope that love is unbounded by death, and echoing of Emerson’s idea in the first movement, seen in a different light. The Emersonian first movement is repeated to conclude the work. Five American Echoes won first prize in the first annual competition of the Baroque Choral Guild. 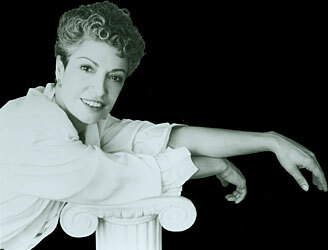 It was premiered in San Francisco by the Guild in June 1984.